Christopher Columbus discovered the 1503, and named the Tortugas, Spanish for turtles, owing to the large numbers of turtles in the area. They were ceded to the British in 1670 along with Jamaica, and colonised by the British from Jamaica. They remain a British Colony, becoming part of the West Indies Federation in 1959. 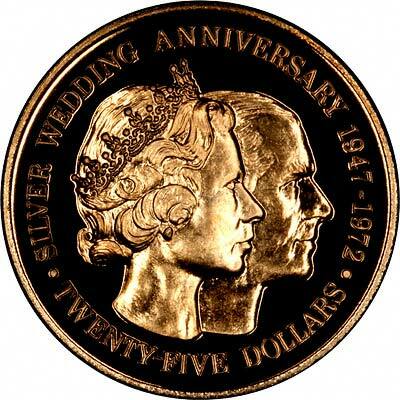 This was dissolved in 1972, and the Caymans are now partially self governed, remaining part of the British Commonwealth. 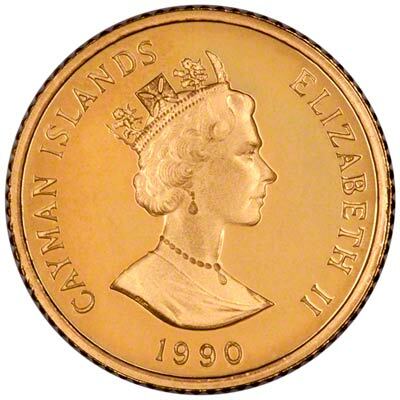 The Cayman Islands used Jamaican currency for most of its history, and only issued its first national coins in 1972, when it decimalised. 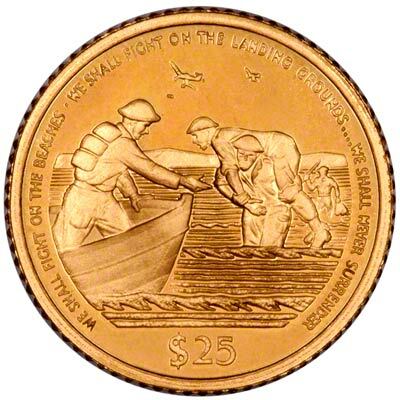 All of its gold coins are commemorative issues. 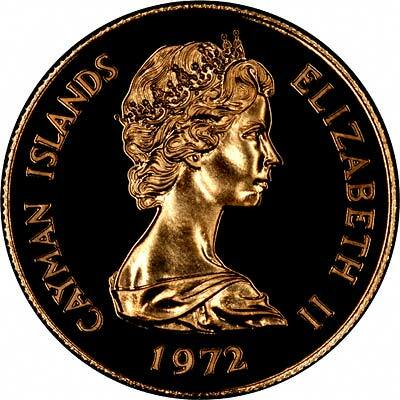 For silver and base metal coins of Cayman Islands, please look at our original Chard Coins website.